Hannah Hart, the star of the very popular web series “My Drunk Kitchen” and author of My Drunk Kitchen: A Guide to Eating, Drinking, and Going with Your Gut, has written a new book about her life. 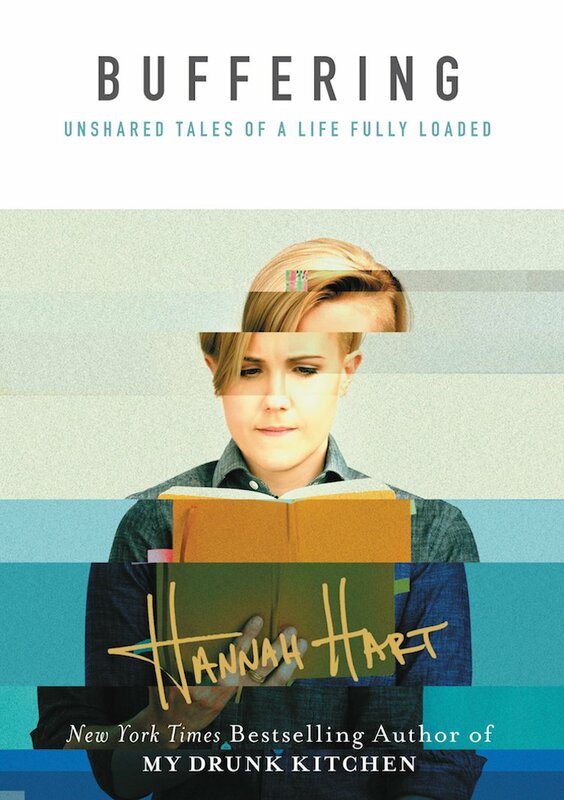 Entitled “Buffering: Unshared Tales of a Life Fully Loaded“, the book features a collection of personal essays and narratives about a variety subjects that she previously kept very close to the vest. As a big fan of memoirs, I wanted to try my hand at writing about the events of my life that deserve a little more consideration than can be accomplished in 140-characters or a 6-minute vlog. Now on the cusp of turning 30, I’m ready to expose some parts of my life that I haven’t shared before. Before, it was all about privacy, process and time. And now the time has come! I’m ready to put myself out there, for you. …And when you read this book please remember: Buffering is just the time it takes to process.